Hard though it may be, let’s try to keep politics out of the equation for a moment. Here are the basic facts: Russia has been playing a crucial role in supplying the European Union with natural gas. It’s the most important source of gas for the bloc, with the country accounting for over 40 percent of overall EU gas imports. Norway is a close second; Algeria, Qatar and a few others have also made contributions to diversifying the bloc’s gas supplies. There’s not that much at all, except the relatively big gas deposits in the Netherlands, with the Dutch being Germany’s third-largest source of gas deliveries at the moment. But that’s going to change as the Netherlands will drop out completely as a gas supplier by the end of the next decade. Facing increasingly unsafe extraction conditions, the Dutch government has decided to reduce gas supplies by two-thirds as of 2022 and halt them completely by 2030. Will gas remain important for the EU’s energy mix? Hardly any economists would deny that gas will keep playing a critical role in the bloc, and for Germany in particular. There are several reasons for this, among them the EU’s efforts to meet its climate protection targets. A look at Germany shows this policy involves phasing out coal-fired plants by 2038. On top of that, Europe’s powerhouse is phasing out nuclear energy with all the consequences for its future energy mix. Other nations in the bloc don’t have that additional problem. 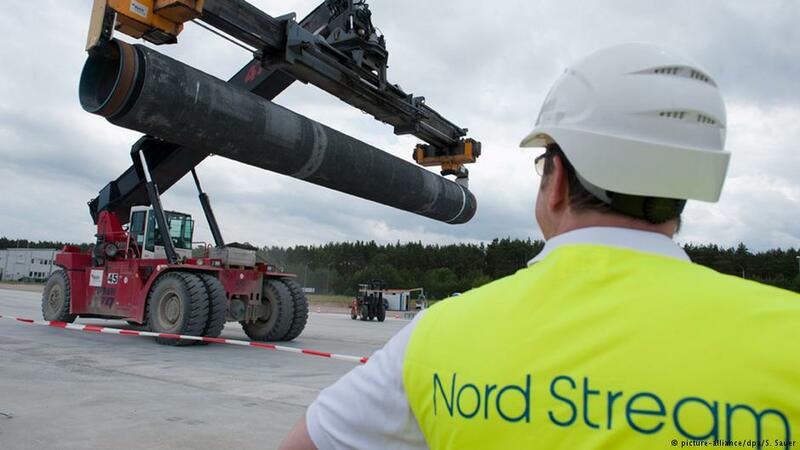 How would Nord Stream 2 increase the EU’s dependence on Russia? Experts estimate that the EU’s dependence on Russian gas would exceed the 50-percent mark, should Nord Stream 2 go into operation. Eastern Europeans and most recently France are not amused in the face of this prospect. Nor is the United States, but like everyone who’s joined the fray, it has its own ax to grind. US policymakers don’t tire of telling the EU it should make energy diversification a top strategic priority. Talking about gas supplies in particular, they’ve thrown their weight behind the Southern Gas Corridor, the BRUA/BRUSKAT pipeline and Croatia’s KRK Island LNG project, and of course they tout US liquid natural gas imports as the solution to EU’s potential problems should Nord Stream 2 not come about. US LNG producers have announced they intend to become Europe’s biggest LNG suppliers by 2025 by a wide margin, adding that they wouldn’t settle for less than a 50-percent market share. The trouble with LNG is that it tends to be more expensive. For LNG to be transported on tankers it needs to be cooled down to minus 192 degrees Celsius (minus 313.6 degrees Fahrenheit) to be liquefied. This is a very complicated and costly affair. Let’s face it. Energy security cannot just be defined by where you get your supplies from. What’s far more important is whether you’d have alternative sources in an emergency. Russia was a reliable supplier to Western Europe even in the worst years of the Cold War, and there’s no indication that this will change now. Of course, there are no guarantees either. So, what would happen if Russia upped and stopped gas supplies for political reasons or were willing to sell gas only at exorbitant prices? Those terminals have an annual capacity of 220 billion cubic meters and currently have a utilization rate of only 30 percent. The terminals in place are the EU’s energy insurance policy; no breakdown of any systems has to be feared. This makes any blackmail attempt by Russia highly unlikely, given also that it badly needs the hard currency income from the deliveries.